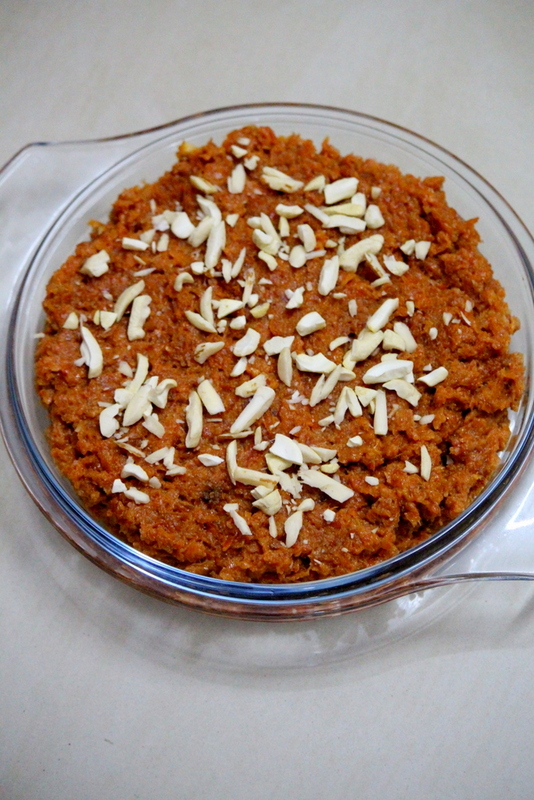 Gajar Ka Halwa with milkmaid (or can be called as sweetened condensed milk) is a delicious carrot halwa made using grated carrots or gajar. Gajar Halwa is a very popular dessert across India. The method of making this halwa is the same but different people use different cooking methods such as pressure cooker, microwave or the most common which is the traditional method. The carrot halwa using condensed milk or milkmaid is made in a traditional method but I have used pressure cooker to soften the carrots. Inorder to make the halwa it is always better to find good quality carrots which are exclusively available to make gajar halwa and in India the halwa carrots are usually available in winters. Gajar halwa is almost the same but the sweetness that is found in the halwa can be achieved using khoya/sugar/condensed milk. I have not used any shortcuts to make this dish. I have made it in a traditional slow cooking method but instead of using sugar I have made gajar halwa with milk and milkmaid to make it. It does take a while to make this yummy dessert and is time consuming but the long cooking process definitely pays off at the end as the outcome is simply superb. Here I have used only milkmaid and the halwa came out absolutely perfect and irresistible. The color of the halwa varies from one person to the other as the color of the carrots preferred to make the recipe changes the color of the final dish. 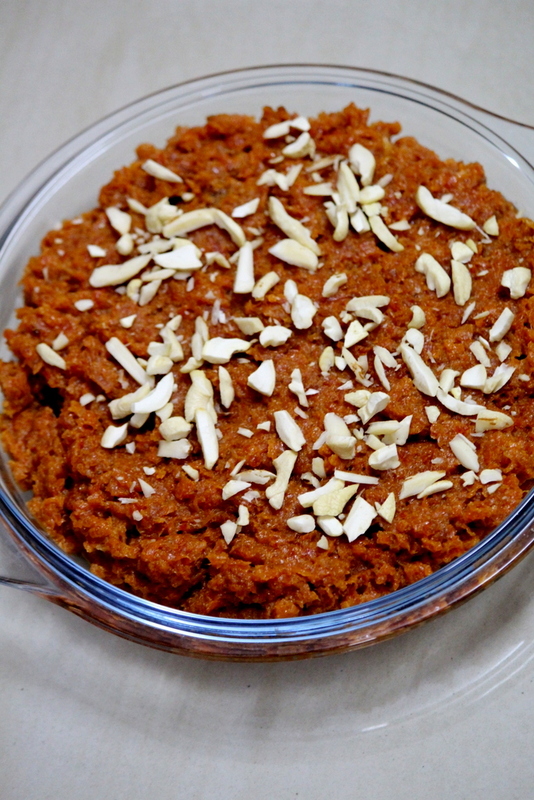 Gajar Ka Halwa with milkmaid recipe made using milk and milkmaid. Firstly, in a pressure cooker, add the grated carrots and milk. Mix it well and pressure cook on medium flame for 3-4 whistles. Reduce the steam and remove the lid. Cook them again on sim flame until the milk is totally absorbed. Add about 3/4 tin of milkmaid and mix well. Cook until the milk and milkmaid is totally absorbed into the carrots. In a separate wok, add ghee and heat it. Into the ghee, add the cooked halwa, stir it, mix it and cook it for 5-10 minutes on sim flame. Lastly, garnish with finely sliced almonds, cashews and cardamom powder. Serve the halwa in sweet bowls!!! 1.Pressure cooker need not be used. 2.Cook the carrots and milk for a long time until the milk is totally absorbed and also until carrots are soft. Wow, that looks delicious! I like Gajar Ka Halwa over vanilla ice cream. 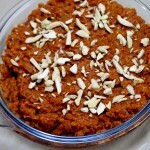 Feel like having gajar ka halwa right now.. That looks yummy.